Convenience stores seem to be defying odds when it comes to retail trends. While big box retailers have seen a significant decline in revenue over the past 10 years, convenience stores have stood their ground. In fact, they’re thriving amidst the retail downturn. The number of convenience stores in the U.S. increased to a record 154,958 stores as of the end of 2017, according to the 2018 NACS/Nielsen Convenience Industry Store Count. That’s a .3 percent increase from 2016 (with 423 new stores). But despite the good news, the age-old problem persists: fuel customers aren’t coming inside. (Only about a third of fuel customers enter the store, according to NACS.) It’s safe to say there’s a glaring gap between what today’s customers want and what gas station and convenience stores provide. “People have come to expect certain conveniences when they shop, travel, and handle their finances–such as mobile access, personalization, loyalty tracking, and no-touch transactions,” Andrew Feinberg, principal, Deloitte Consulting LLP and US Restaurants and Food Service leader, said. With the rise in consumer expectations, there’s a need to focus on innovation and customer experience at retail fueling locations. And technology is key to bridging the gap between what the customer wants and what the convenience store is capable of providing. “This particular category of retailer, the fast food/QSR operator, would rather invest in this technology than the integrations associated with enabling NFC at the point of sale since the long term payoff for them is much more than just ‘checkout,’ PYMNTS said in their report. 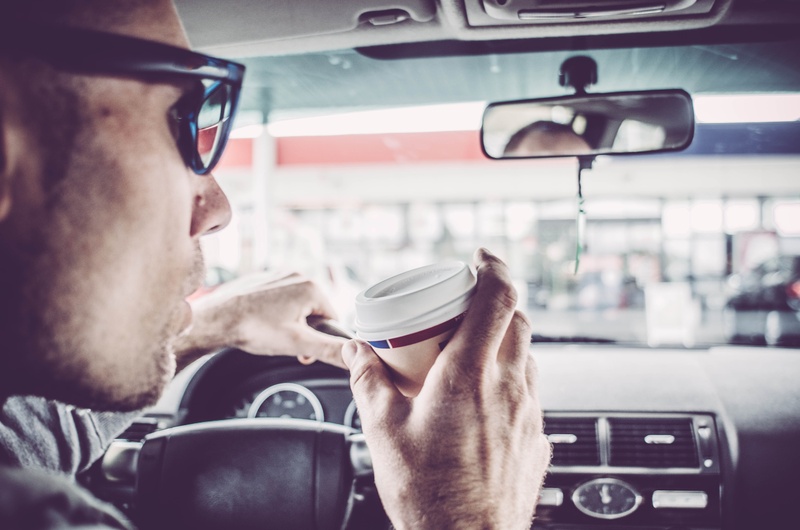 Customers avoid entering a c-store while fueling for a number of reasons. Time constraints, a screaming child in the backseat, or general laziness are among them. We can’t make people un-lazy, and we’re not baby whisperers, so it’s unlikely we can do much to bring people into the store. But we can use technology to bring the convenience store to the customer. P97 has launched a program called Dash that gives consumers the ability to pre-order and prepay for food, drinks, and other items from their phone and have them delivered carside. Dash adds a level of convenience never before experienced by consumers, and provides an opportunity for convenience stores to enter the mobile ordering market on the ground level. The market is on pace to be worth $55 billion by 2022, according to PYMNTS' Order Ahead Tracker, so now is a promising time to get on board. A new Deloitte study found that 40 percent of frequent restaurant visitors prefer to order online, and spend 26 percent more per online order at quick service restaurants. Not only will Dash increase in-store transactions -- basket spend will likely see growth as well. According to Deloitte, 40 percent of frequent restaurant visitors prefer to order online, and spend 26 percent more per online order at QSRs. “Offering mobile payment can also help avoid costly pump upgrades,” James Hervey, director of product marketing and Americas petroleum solutions for Verifone, told CSP. The Dash program is tied directly to the existing POS system, so the menu that appears on a mobile device comes directly from the inventory that’s available on the POS. Dash also uses multifactor authentication and tokenization for all personal identifiable information so customers can rest assured their transaction is just as safe, if not more so, than in in-store transaction. P97 is also working to integrate with connected cars so consumers can order food or fuel directly from the car’s infotainment system on the dashboard. According to the aforementioned Deloitte survey, 70 percent of respondents said they look for apps that deliver personalized offers and convey the sense that a restaurant ‘knows them.’ Dash constantly gathers data to learn the consumers’ purchase history and behavior so offers can be tailored to that user. This level of personalization tied with the convenience of Dash creates an unbeatable customer experience. “Convenience stores saw solid growth in 2017 due to an increased focus on innovation, improved customer experience, assortment variation and healthy investments in food services,” Jeanne Danubio, EVP retail for lead markets at Nielsen told NACS.